Special offer for New & Existing Clients in Plymouth. Fixed price Boiler Service for all boiler makes and models for just £65 including VAT, plus for a limited time only, a free carbon monoxide audible alarm, supplied and fitted by one of our Gas Safe Registered engineers, usually £35. Offer only applies to households in Plymouth, for other offers for households outside of Plymouth area please Contact us. It is important to have your boiler serviced annually, you can read why it is so important in our last blog post here. To benefit from this great offer simply contact us to book your boiler service and quote: CO-FREE. Offer is only available for residential customers that live in Plymouth. 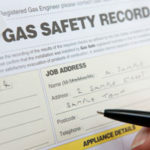 AJ Barnes Plumbing & Heating LTD complete thousands of Gas Safety checks for homeowners and landlords annually. Our Gas Safe Registered Engineers use the latest analytical diagnostic equipment to service your boiler. It is important to keep your boiler services up to date to ensure that your warranty is valid and your boiler is energy efficient.